The New Tecno Camon cx and cx Air: Spec, Features, Price and Everything you need to know. months ago in Lagos, Nigeria. phone that would make them forget the predecessor. 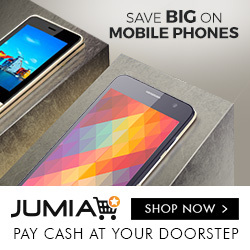 -Check offer to BUY CAMON CX right away. Android 7.0 OS with Tecno HiOS. 32000 mAH battery and Quick Charge. Price: Starting at 70,000 Naira. A one-time free screen repair in the first 3 months. Android 7.0 OS based on HiOS User Interface. be fascinating to show off your quality selfie. memory slot expandable up to 128GB. flash and the front having a dual LED flash. examined for a deep review. juice up to always catch up with the fun. difference between camon cx and cx Air. 128GB, a 4GB RAM would have made a better match. of camon CX starts from #43,000 on major online stores in Nigeria . box to share your opinion and don’t forget to spread the news. The camera profile of the Camon CX is awesome and I am very impressed and looking forward to see if it will live up to the hype.